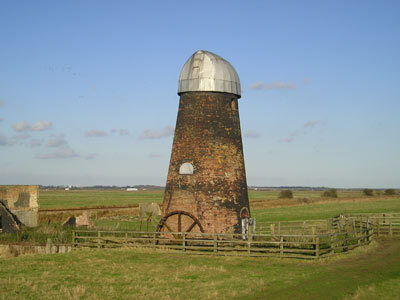 Halvergate Lockgate drainage mill is also known as Freethorpe Mill and in the past as Banham's Black Mill or Duffel's Mill. 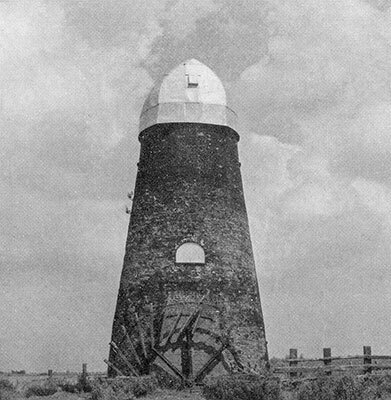 The mill stood in an isolated spot on the Halvergate Marshes next to Breydon Water about 1½ miles to the west Lockgate Farm, which itself was demolished in 1981, after lying derelect for many years. The four storey black tarred, Grade ll listed mill is is actually in the parish of Freethorpe approximately two miles west of Gt. Yarmouth. The tower stood 35 feet high to the curb, with a base diameter of 24 feet. A small cottage stood about 25 yards to the north of the mill. The mill used 4 patent sails that turned clockwise to drive a 19 ft. diameter scoop wheel with 7 inch paddles. 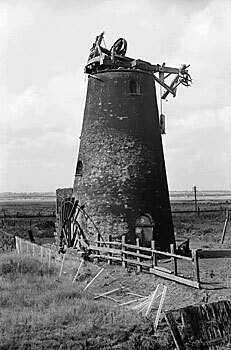 Despite being only 800 yards from the junction of Halvergate Fleet and Breydon Water, the mill actually drained Acle Marshes that lay to the north of the mill. My family lived and worked Lockgate Mill from 1944-1945. My father's name was Leonard William Rose, I was two years old at the time and do not remember it. We then moved across the marshes to Scaregap farm. I used to birdwatch here in the late 50's early 60's being a follower of Arthur Pattersons books and sheltered in the delapidated house on many occasions - the house was almost falling down but you could still get upstairs and I remember the many horizontal laths of wood on the walls which I assume were plastered over at one time. I picked up two metal discs which were the end pieces of the reinforcement rods holding the place together but had fallen to the ground - still use them as weights in my garden !